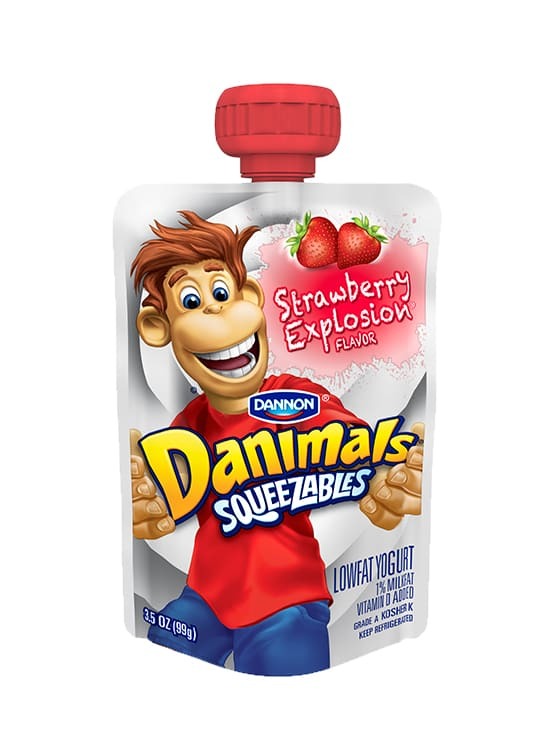 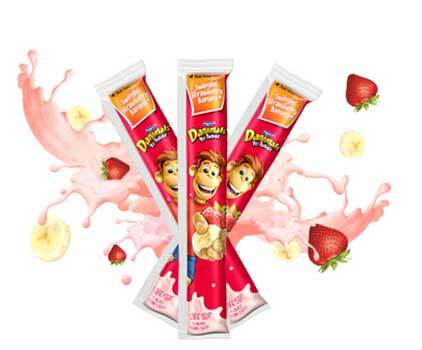 Kids’ go bananas for strawberry banana Danimals lowfat yogurt. 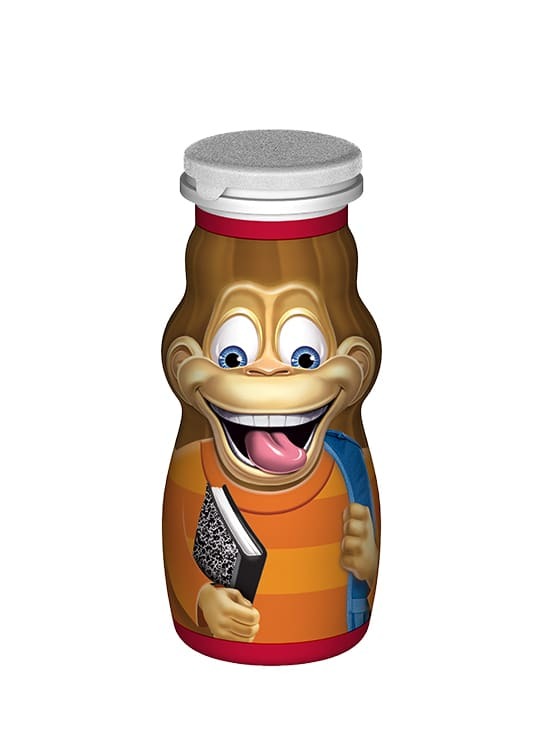 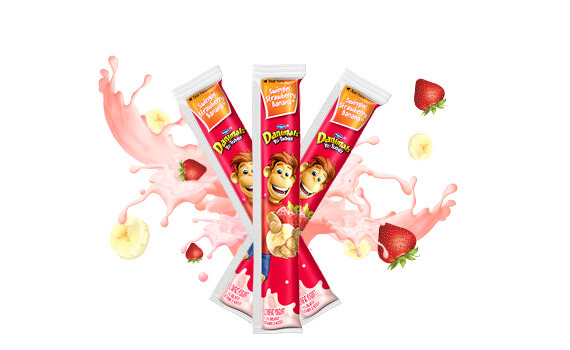 Made with, all natural ingredients with vitamin D, Danimals Swingin’ Strawberry Banana Yo-Tubes also have no artificial colors, flavors, or preservative ingredients. 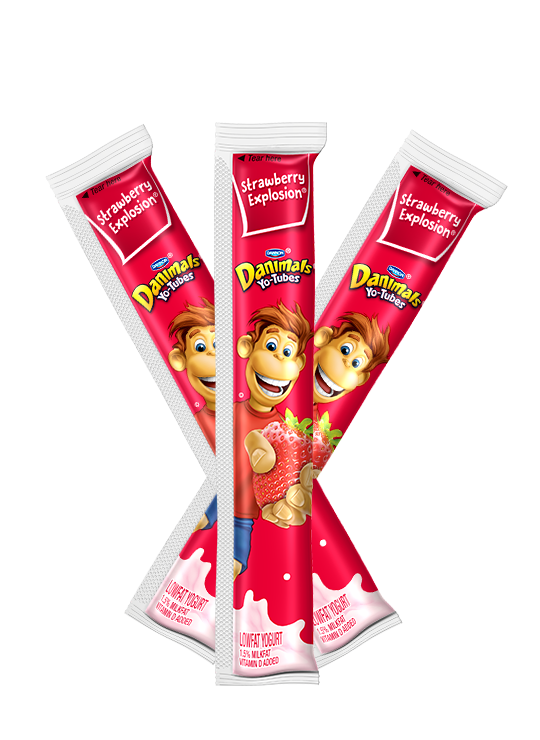 Perfect when the kids are monkeying around. 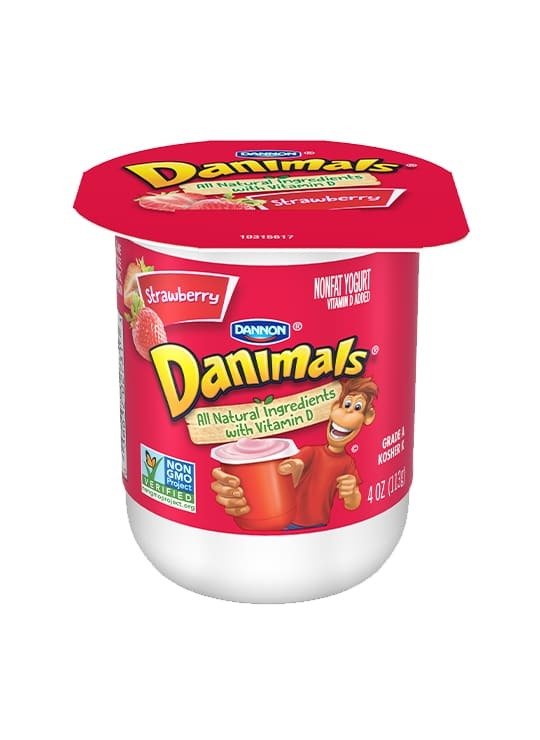 Cultured Grade A Low Fat Milk, Cane Sugar, Water, Corn Starch, Strawberry Puree, Contains Less Than 1% Of, Rice Starch, Milk Minerals, Banana Puree, Natural Flavors, Agar Agar, Fruit And Vegetable Juice (For Color), Carob Bean Gum, Lemon Juice Concentrate, Vitamin D3.